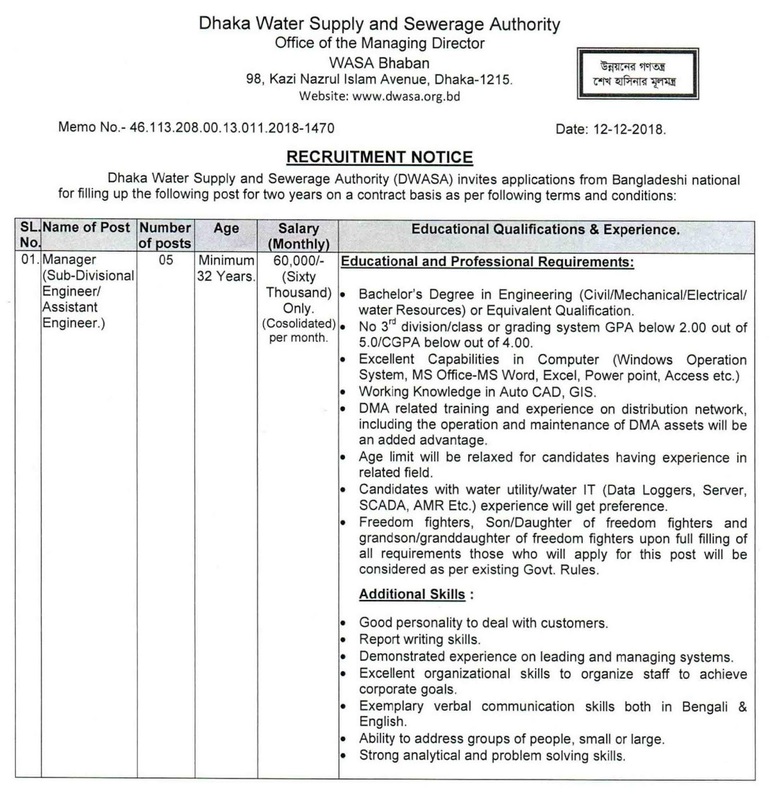 Dhaka Water Supply and Sewerage Authority – www.dwasa.org.bd has published job circular. They want to include some manpower for their different post/sector. 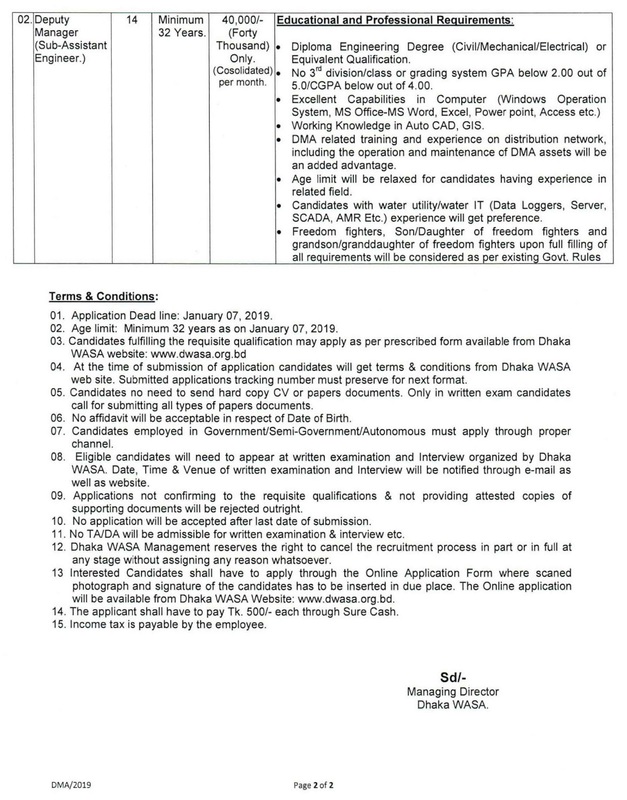 Various newspapers and online BD Jobs Website publish Dhaka Wasa Job Circular 2019. The Dhaka Water Supply & Sewerage Authority shortly named as DWASA. In Bengali, it says “ঢাকা ওয়াসা”. It was established in 1963 English. In 1990, Narayangonj city also came under Dhaka Wasa. The Dhaka Wasa is the most important part of the Water Development Department. They offer some people career opportunities in the various sector. Dhaka thinks that young and hard worker person can change the sector. All interested and eligible People can apply in this Job circular. Dhaka Wasa Job circular, application last date and others instruction is given below. Student Who pass Honors and Masters Degree from any University can apply for the post. For more Information see the job notice. source: Dhaka Wasa (dwasa.org.bd) official website. Source: Dhaka Wasa logo from (dwasa.org.bd) official website. First, visit http://www.dwasa.org.bd/career/ official website. Check your Job post and apply. After successfully complete the application must save the application form, username, and password.